Don't see a date that works for you? To be the first to know about new, unannounced, upcoming dates click here to add yourself to our waiting list. 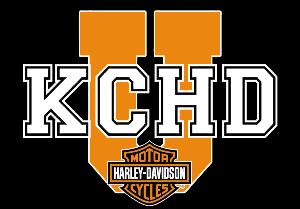 Welcome to Killer Creek Harley-Davidson® University! We are pleased to be partnering with the Motorcycle Safety Foundation (MSF) and Honda Riding Education Center to bring you the basic rider course. **If you are interested in CPR, First Aid and AED Training, Contact us. The MSF facility is close to the dealership, located behind the Honda corporate headquarters at 1450 Morrison Parkway in Alpharetta. This facility is a premier riding training center including two ranges, student center and a motorcycle motor pool with various sizes of bikes to fit all riders. This program is unique in that you will split your time between the MSF campus for riding time and our dealership for class time. MSF RiderCoachesSM and Georgia Motorcycle Safety Program Instructors will lead the program. The course is specially designed to train students in both the fundamentals of riding and acclimating new riders to the many facets of the Harley® riding experience. Welcome to the world of motorcycling. As a new rider participating in education and training activities, you are about to embark on an adventure that only motorcyclists can know. If you are an experienced rider who has taken some time off from the thrill only two-wheel exploits can bring, welcome back! You are certain to renew the habits and skills necessary for motorcycling enjoyment. Motorcycling can be quite a challenge, not just in learning the controls and acquiring maneuvering skills, but also in finding a safe way through real-world traffic. If you are willing to embark on a journey that develops the special skills and strategies of a good motorcyclist, this course is for you. Your experience and participation will lead to a better understanding of the riding maneuvers and the skills necessary to enjoy motorcycling to the fullest. This course covers the basic fundamentals for you to develop your capabilities to become a safe and responsible motorcyclist. It provides the opportunity for you to learn the physical and mental skills important for operating a motorcycle. In the classroom, you will learn ways to minimize risk and handle special riding situations. During the riding portions of the Basic Rider Course (BRC), you will be coached to develop the physical skills of basic control that include: clutch/throttle control, straight line riding, stopping, turning, and shifting, and then move on to more advanced skills in stopping quickly, cornering, and swerving. Your RiderCoachesSM are here to help guide you through your learning journey. Be sure to ask lots of questions and let them know how to help you. The classroom activities include discussions with audiovisual support designed to prepare you with awareness and knowledge necessary for safe motorcycling. The riding exercises foster the development of fundamental skills and the riding finesse to handle complex traffic situations. Throughout the course you will have your questions answered and have your progress observed and coached. The Motorcycle Safety Foundation offers other courses and training opportunities as part of its complete Rider Education and Training System (MSF RETS), which is designed to provide you with lifelong learning opportunities to keep your skills and safety strategies fresh. After you've successfully completed the BRC, consider enrolling in one of the Experienced Rider Courses (Skills Practice Rider Course) as soon as you buy a bike - or right away if you already own one. To stay sharp and stay safe, you can take a formal MSF riding skills course every year and every time you buy another motorcycle. You can also practice your skills on your own, using the exercises outlined in MSF's "You and Your Motorcycle: Riding Tips" booklet (viewable on their website). In addition, the course goes beyond the basics of riding and includes many aspects of the social side of riding including How To demonstrations on models, parts, apparel, service, as well as club rides, parties, dealer events and national rallies. Please note, motorcycling is not for everyone. If at any time, any organizer of KCHD-U or instructor(s) feels it is unsafe for you or for the safety of others for you to continue with the course, you may be asked to cease participation. Again, this is for the safety of you and others. Due to the nature of the course, no refunds will be issued. If there are any medical issues that the Rider Coaches should know about you that may effect your operation of the motorcycle and/or success in the course, please feel free to privately discuss this with him or her before you get on the motorcycle. The course is offered in a 2 full and 1 half-day format. The cost of the Killer Creek Harley-Davidson® University Basic Rider Course is $320 per student. To see a list of our upcoming classes, click here. For information on our CPR, First Aid and AED Training Course and to register. We must have a minimum of 6 students to host a class. The maximum number of students is 12. If class must be canceled due to lack of students, you will be notified no later than 5pm on Wednesday (the week of class). All fees will be refunded or you may transfer your registration to another session. If there is a waiting list for the alternate session, you will be put at the top of the list. If your desired class is full, we will have a waiting list. For cancellations, those on the waiting list will be contacted first. Walk-ins are possible. If someone does not show up for class, we will fill the class with the walk-ins and will use a lottery system to select students. If you are coming to class from out of town the Fairfield Inn & Suites by Marriott offers a special rate for students taking the KCHD-U Basic RIder Course. Mention the Harley-Davidson® 2015 Special Rate and only pay $69 per night Thursday through Sunday. The Fairfield Inn and Suites is located at 11385 Haynes Bridge Road, Alpharetta, GA 30009 and there direct phone number is (770) 663-4000. This is a license waiver course. You will test on-site for your "M" class endorsement. Once you pass the course, both the skill evaluation and the knowledge test, you will receive a MSF RiderCourseSM Completion Card. You can take this card to a DDS Office to receive your license. No further testing will be required at the DDS Offices. This card may qualify you for a discount from your insurance provider. For US Military personnel, it may fulfill your base safety requirements. Note: The waiver is only good for 90 days, after 90 days the waiver will be voided. When you register and pay for your class, it means you have reserved a seat in a specific class. You are expected to be at your class for those dates and times. Your registration and course fee does not give you a seat in future classes, it does not add your name to a new roster nor does it reschedule you into another date if you should miss or be late to any part of your original course. It is your responsibility to make sure you arrive on-site, on time. You may cancel or reschedule your class up to two weeks prior to class without penalty. If you must cancel your registration less than 2 weeks prior to your scheduled class, you will be refunded your class fee less a $75 cancellation fee. (Refunds will be issued in the same form of payment made and may take up to 10 days.) No refunds will be offered less than 1 week prior to your scheduled class. Rescheduling, however, is an option. If you must reschedule your class date less than 1 week prior but not after Tuesday 5pm prior to your scheduled class, you will be charged a $75 change fee. Absolutely no changes will be allowed after 5pm Tuesday prior to class without forfeit of all fees. You must attend all sessions. Failure to attend any portion of a course session will result in being dropped from the course. No refunds. There are no make-up classes, nor is there time to review missed material. Classes start promptly at the listed times. It is your responsibility to be on time. Being late to the start of any portion of the course may result in being dropped from the course. No refunds. Due to variables beyond our control, such as weather, some course times may need to be extended Please allow additional time in your course schedule in case a session runs later than scheduled. Students under the age of 18 that successfully complete the Basic Course earn a 90-day License Waiver. However, to receive their license, the student must be at least 17 years of age before the 90-day waiver expires. They must also comply with the requirements of Joshua's Law. Students under the age of 18 MUST have a parent or legal guardian accompany them to the first class meeting at both locations to sign waiver forms. Dress for the weather conditions. We rarely cancel a course because of weather. You will not be permitted to participate in the course unless you wear the following. Sturdy, over-the-ankle boots (no sneakers), long pants, long sleeved shirt or jacket, full fingered gloves, eye protection, a DOT approved 3/4 or full face helmet (loaner available from MSF) must be used in the course; ink pen and highlighter are suggested as well. You will have an opportunity to purchase, at a discount, some or all of these items the first night before you go on to the riding range the next day. There will be trained associates to assist in fitting and selecting. Motorcycling is not for everyone. Some students may discover this for themselves during the course. At other times, struggling or uncertain students may be counseled out and unable to continue in the riding sessions. They are welcome to finish the class portions with the understanding that they will not receive a class completion card or a license waiver. If at any time, any organizer of KCHD-U or instructor(s) feels it is unsafe for you or for the safety of others for you to continue with the course, you may be asked to cease participation. Again, this is for the safety of you and others. Due to the nature of the course, no refunds will be issued. To download directions to KCHD and to MSF, click here. All instruction will be lead by certified MSF RiderCoachesSM and Georgia Motorcycle Safety Program Instructors who are required to maintain the safety of all participants. Any student creating an unsafe condition, as determined by the Coaches, will not be allowed to continue in the course. Currently, there are NO refunds or reschedules available for non-completion of the course. To download a non printable version of the Student Handbook, click here. Coffee, soft drinks and water during class sessions.